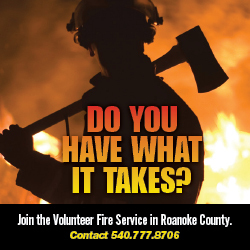 Roanoke County's Fire & Rescue Department is committed to providing quality fire and EMS services to the citizens and visitors of Roanoke County, Virginia. We are a combination department with both career and volunteer personnel operating out of 13 stations and one administrative office. For information about making a donation to one of our volunteer organizations please see the Volunteer Organization list. For more information about our department, refer to our Documents and Online Forms page. 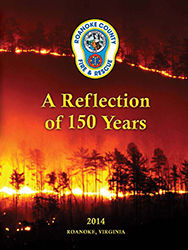 RCFRD releases a history book - see the flyer for details. Roanoke County Fire & Rescue is required by law to protect your health care information. Click here for our Notice of Privacy Practices Brochure. Where can I find CPR or first aid training? How do I become a Fire and Rescue volunteer?